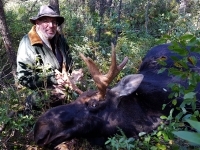 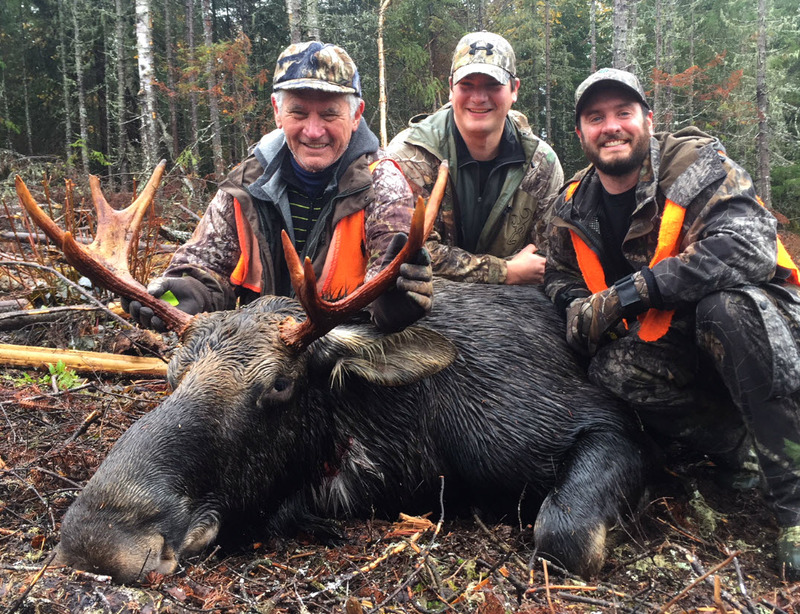 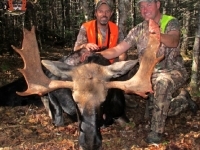 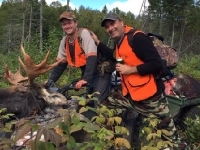 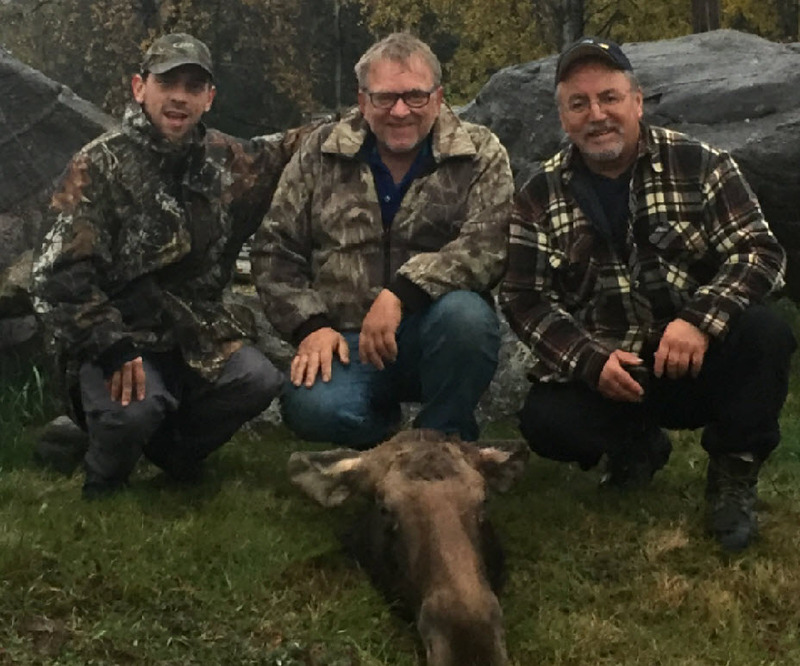 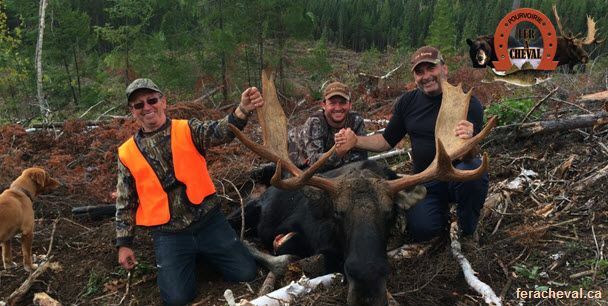 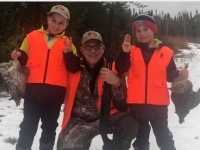 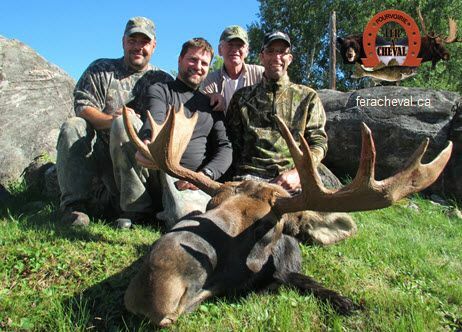 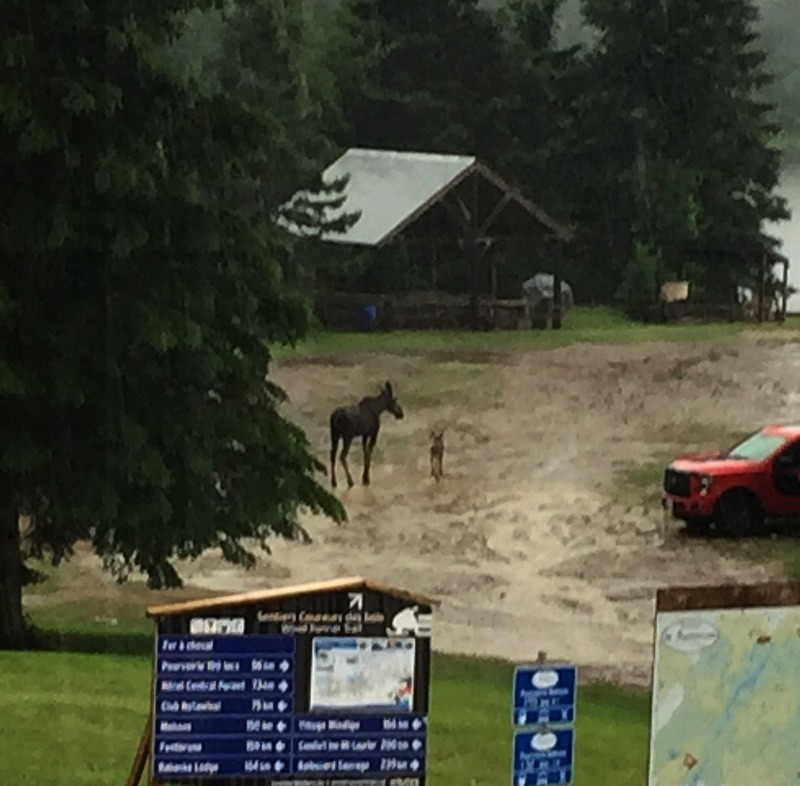 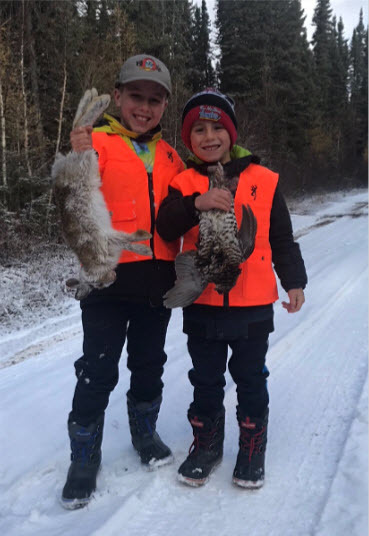 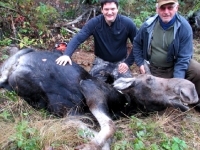 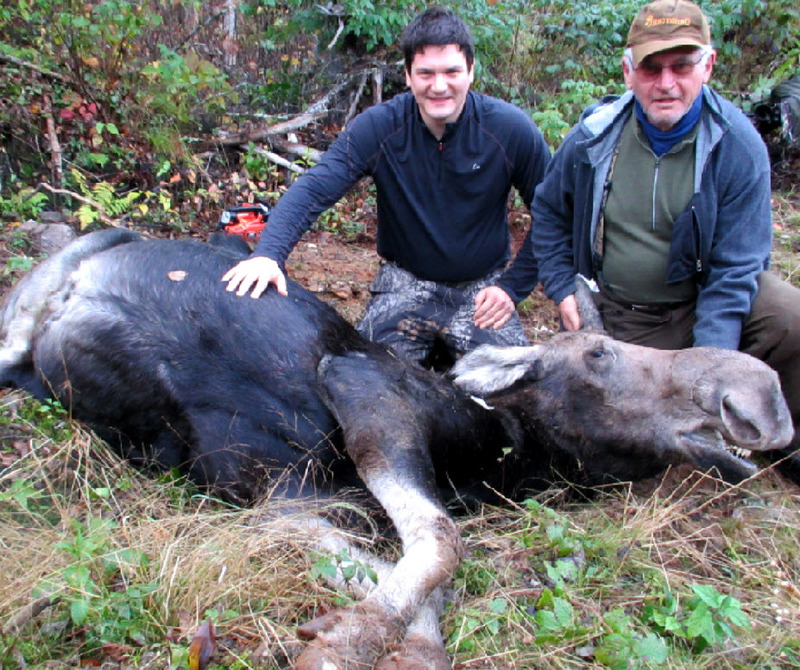 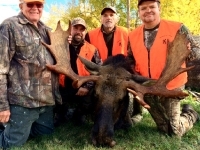 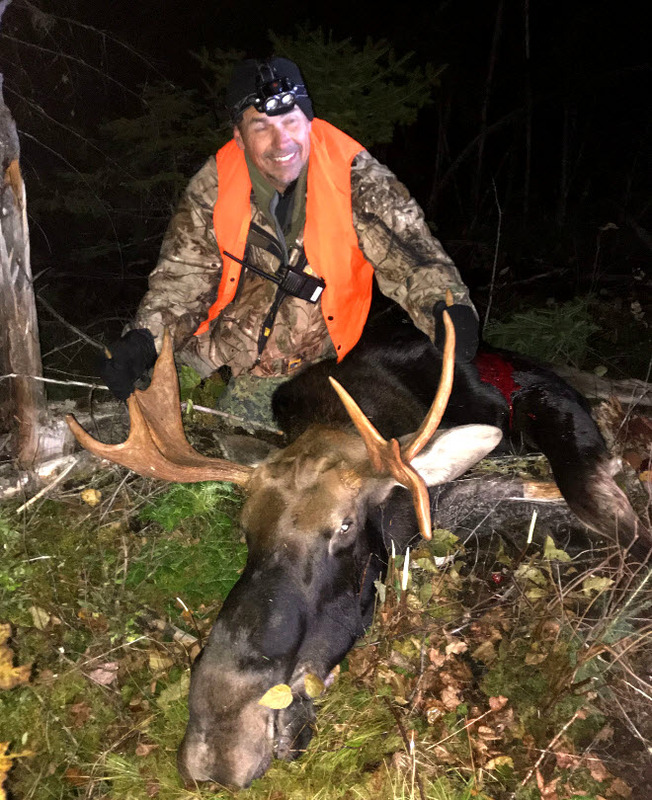 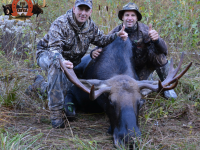 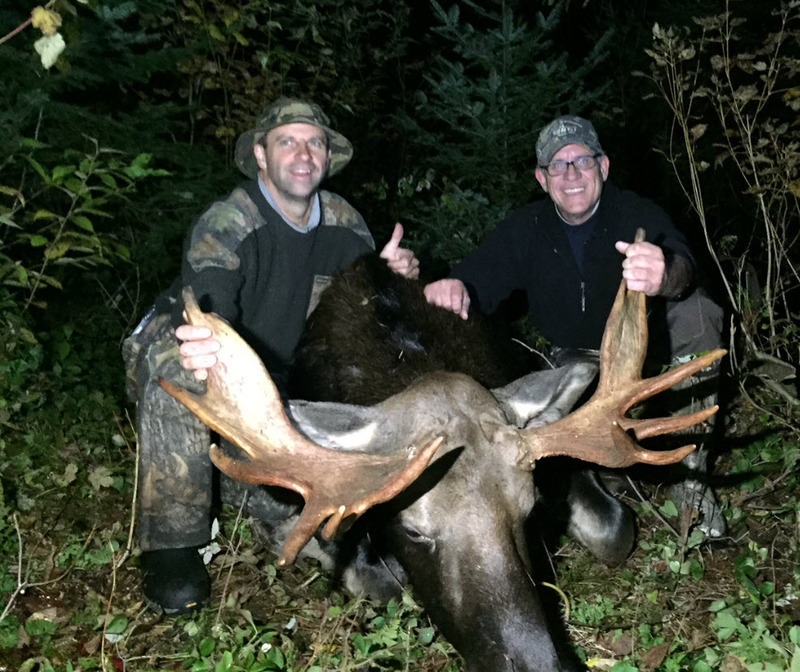 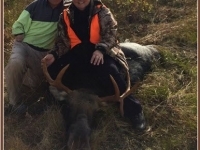 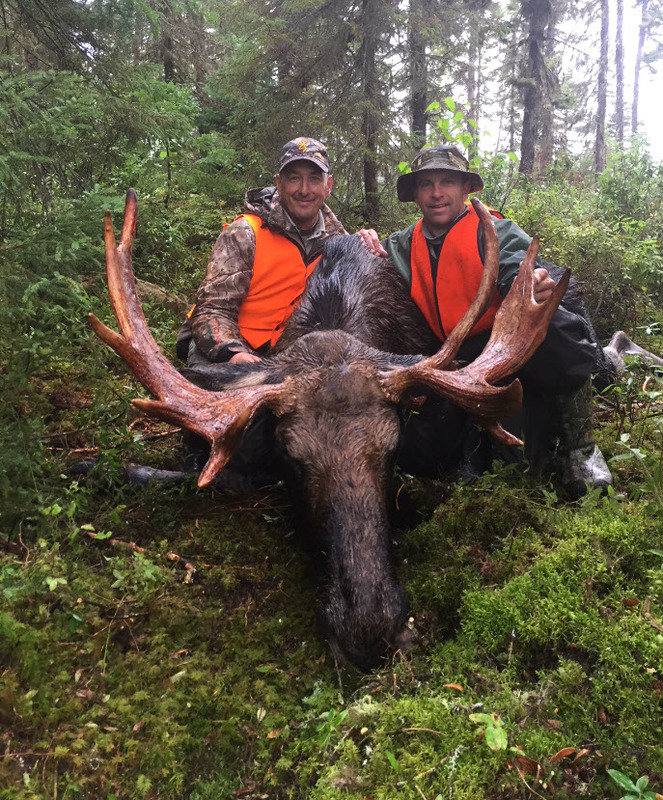 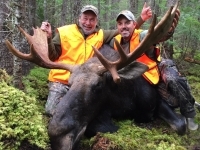 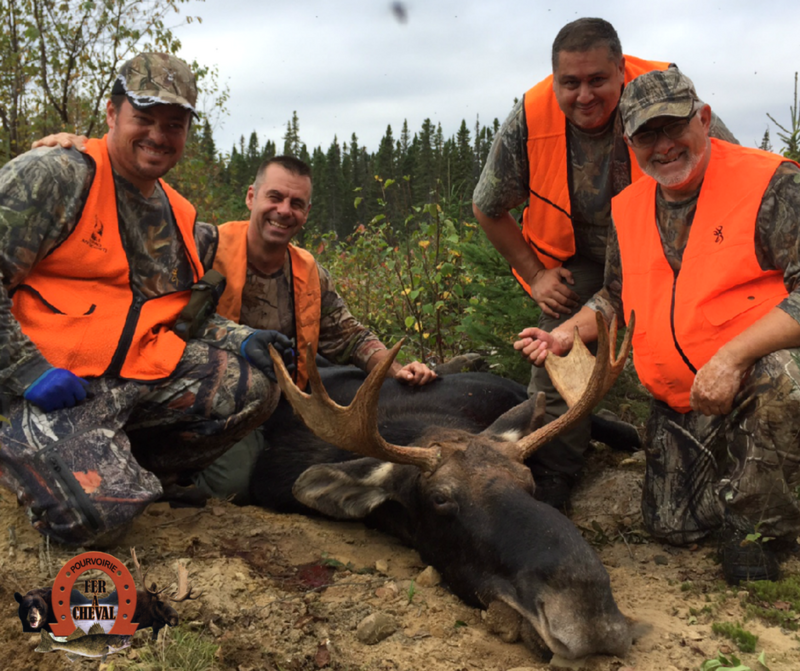 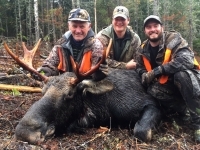 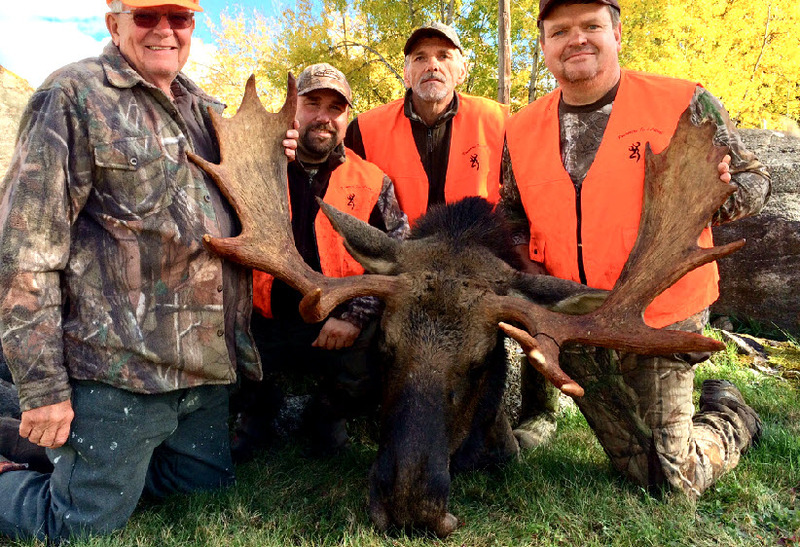 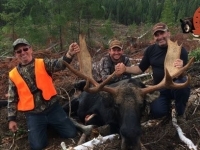 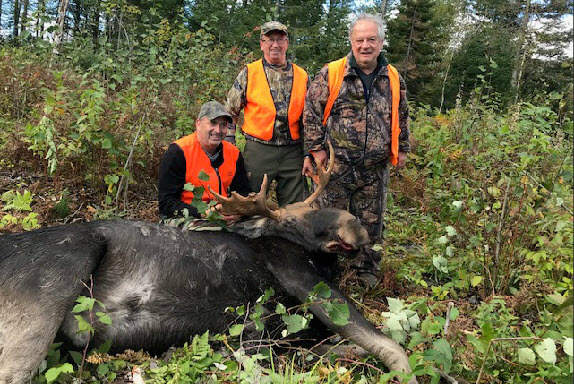 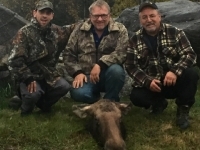 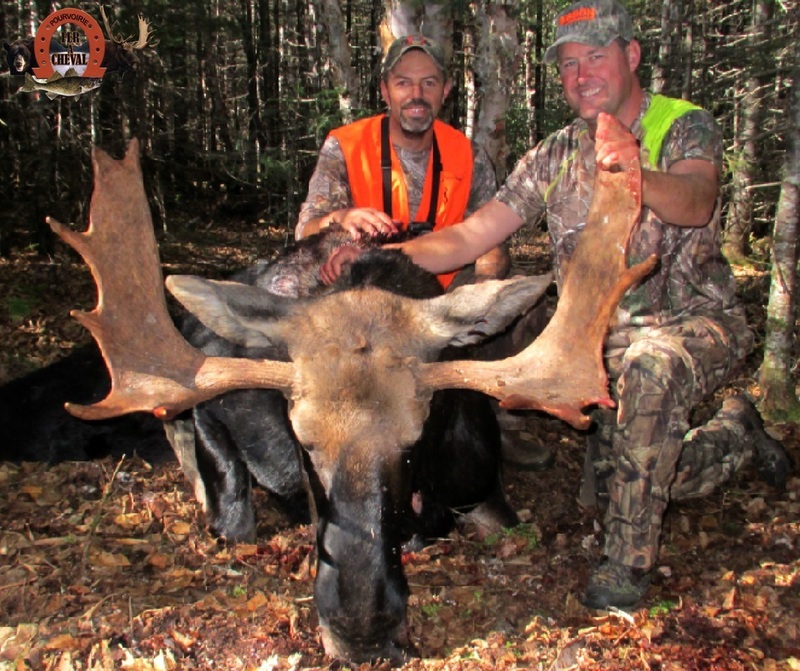 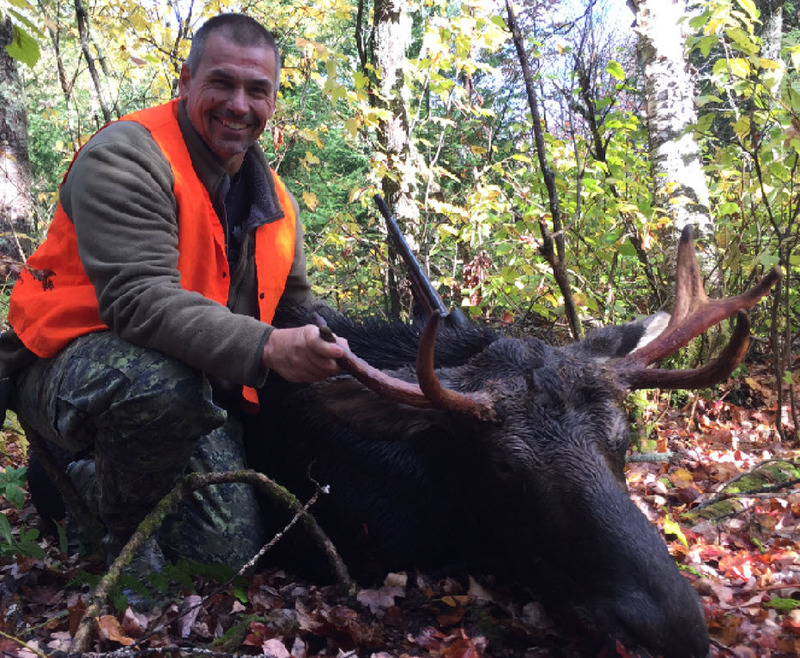 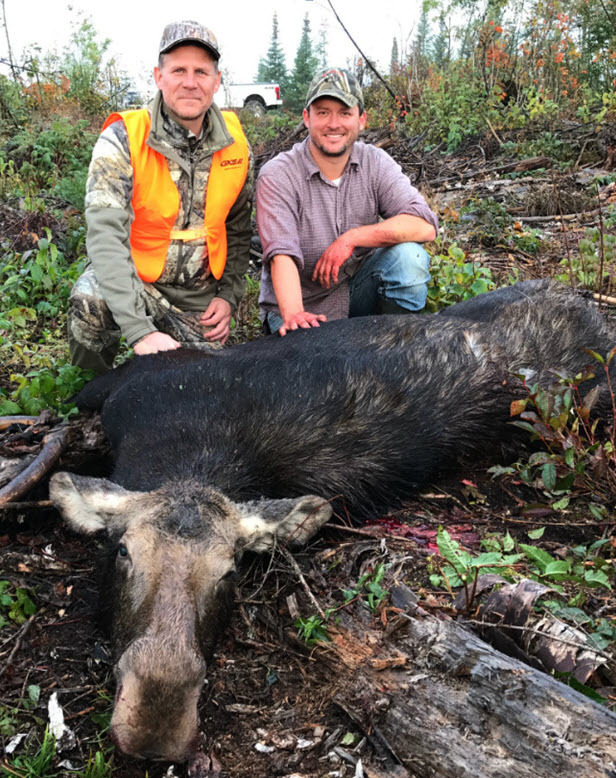 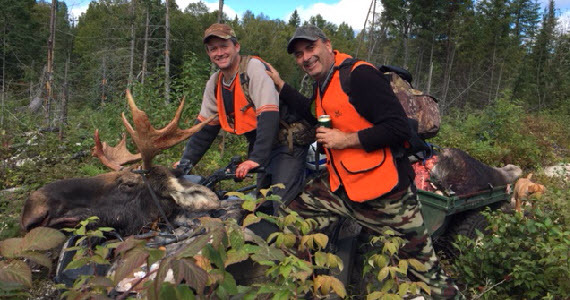 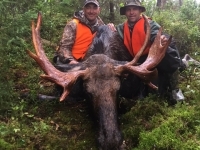 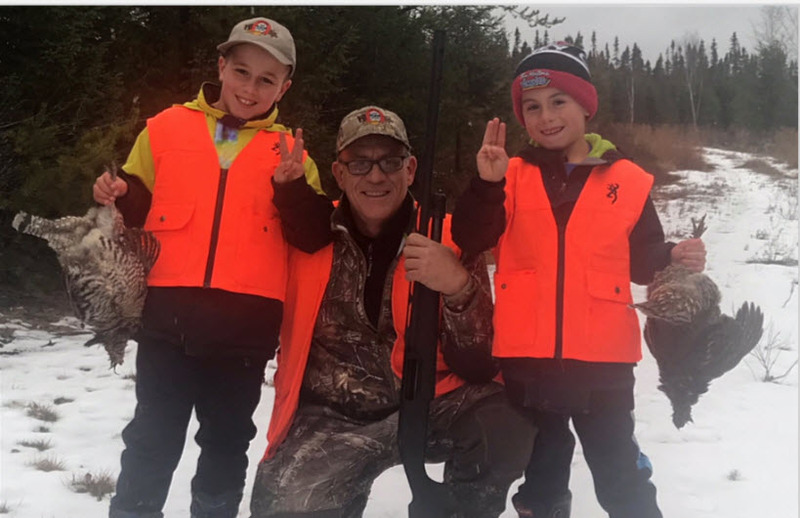 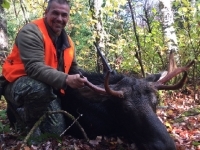 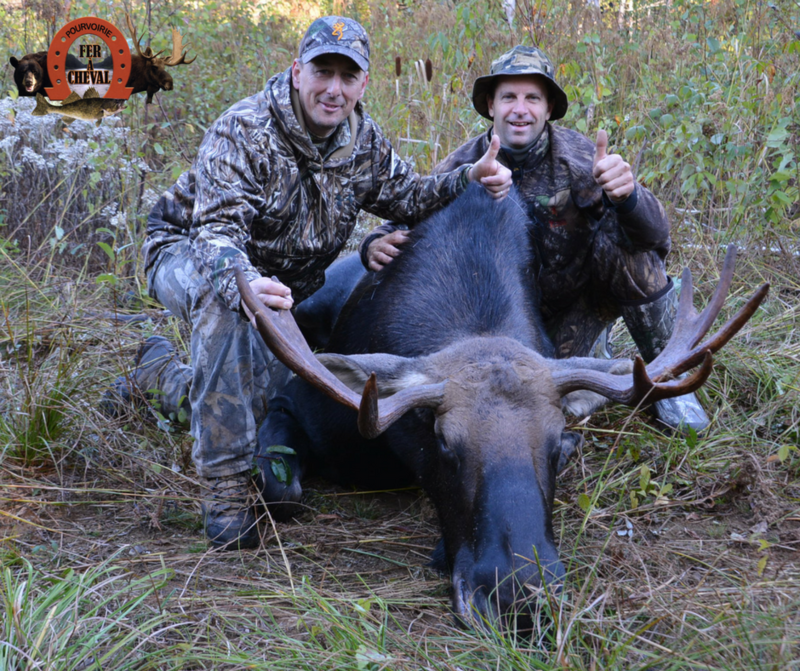 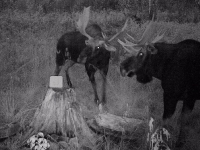 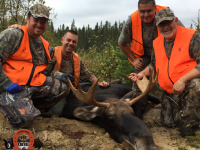 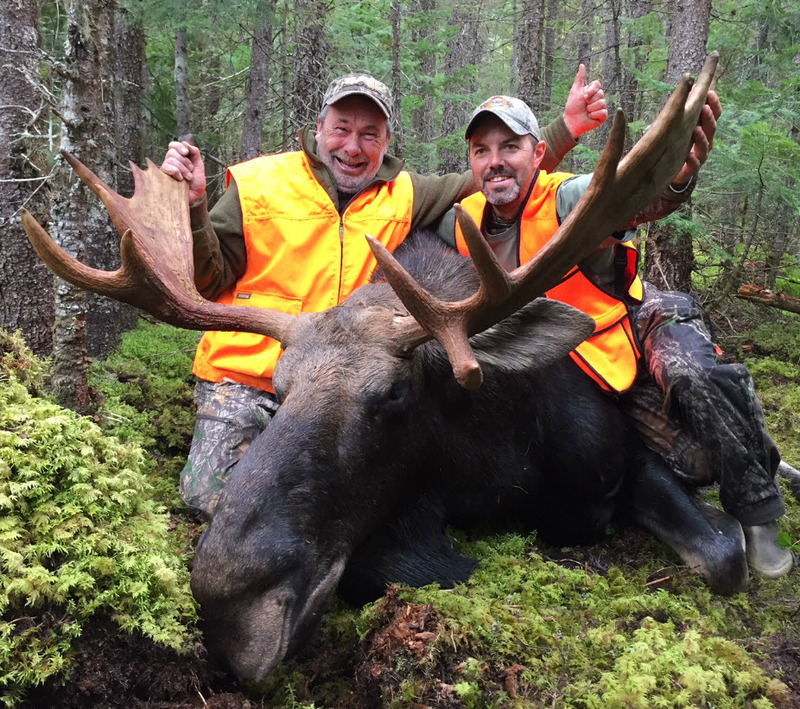 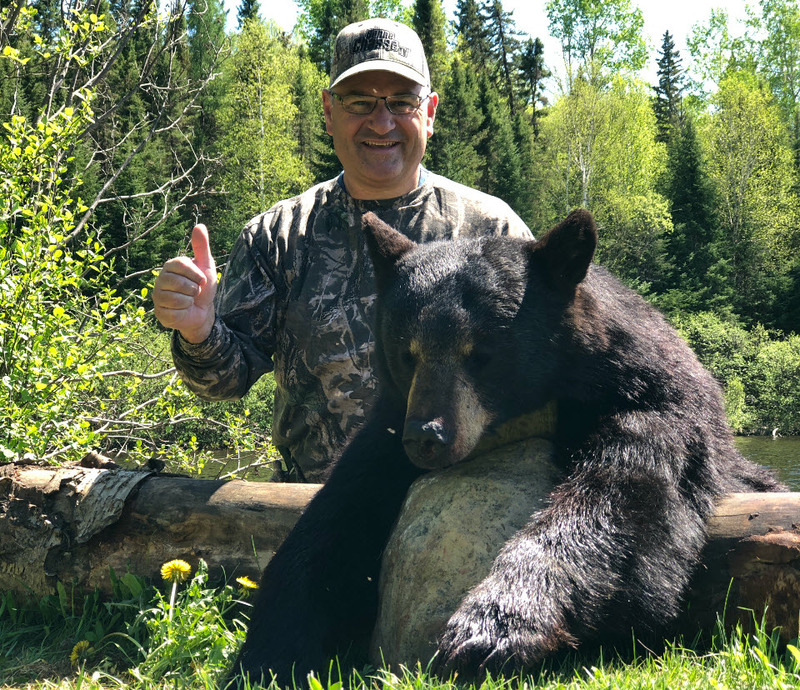 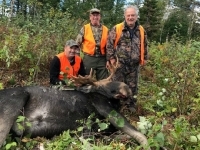 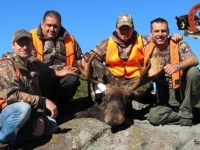 The reputation of Fer a Cheval outfitter in regards with moose hunting goes beyond the limits of the province of Quebec! 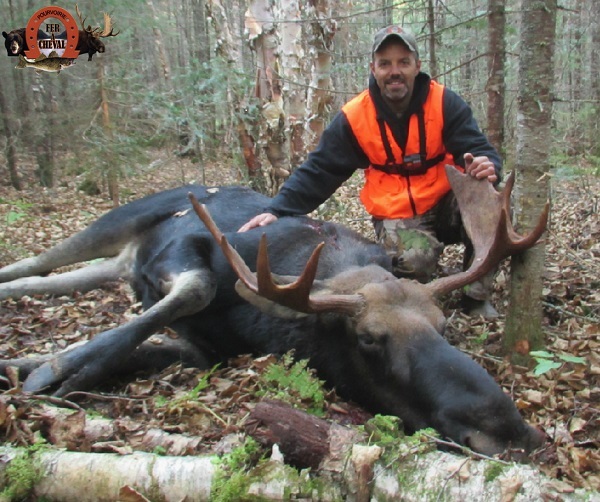 Its exclusive 238 square kilometers [Zone 14] offers a variety of habitats for mooses, which greatly improves the level of hunting success. 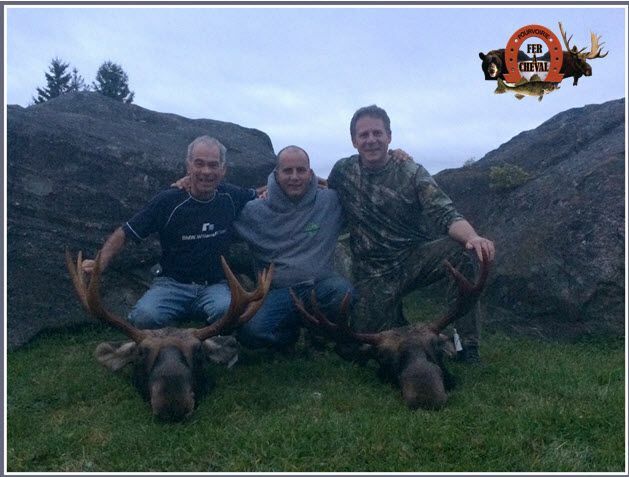 In the last few years, we have set up a very strict management plan, which has allowed for an abundance of livestock. 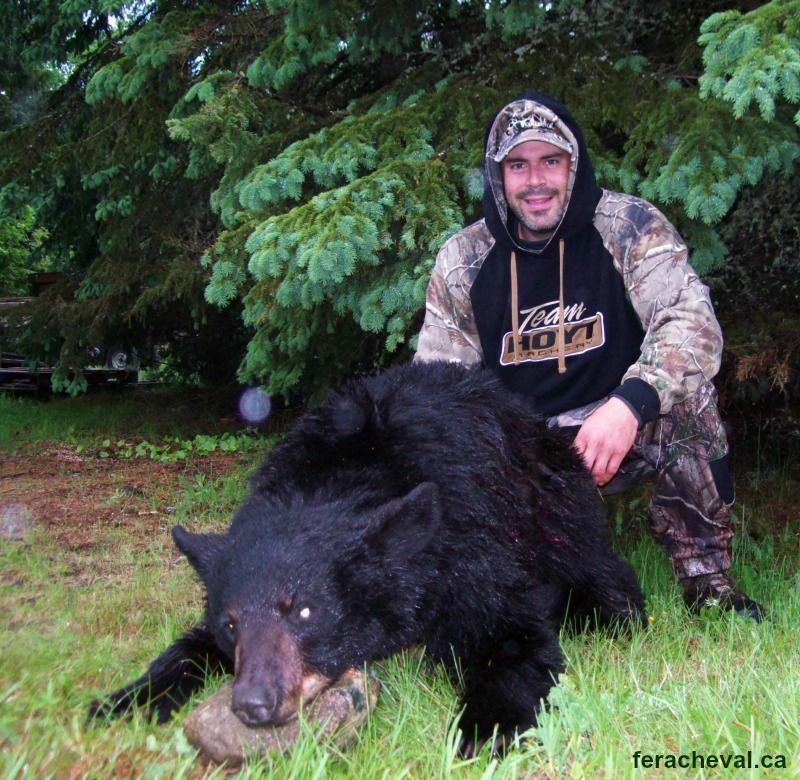 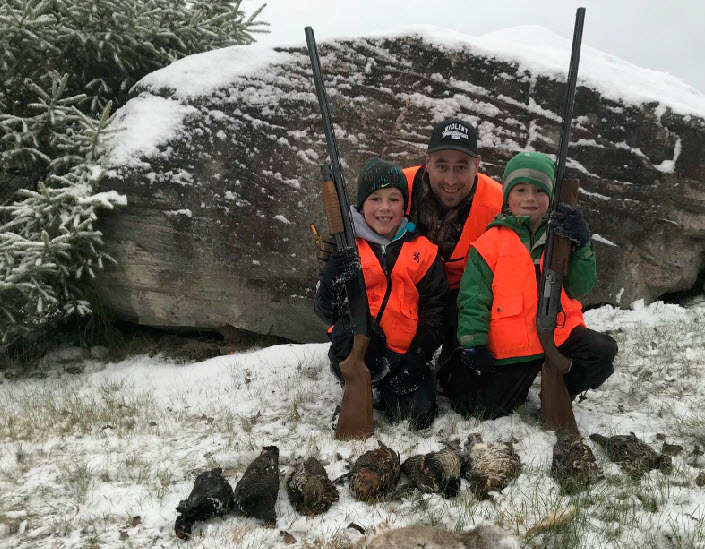 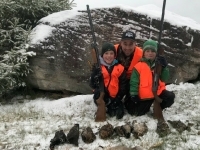 Thank you and your team for another amazing hunting experience at Fer a Cheval. 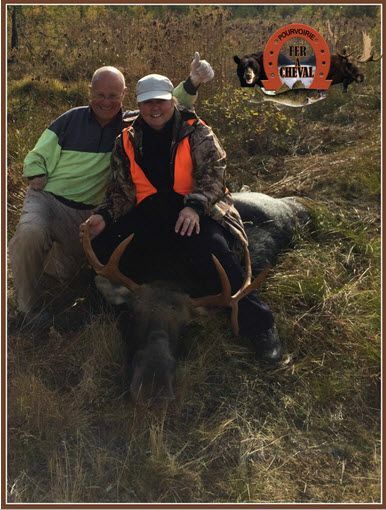 You are certainly a world class outfitter! 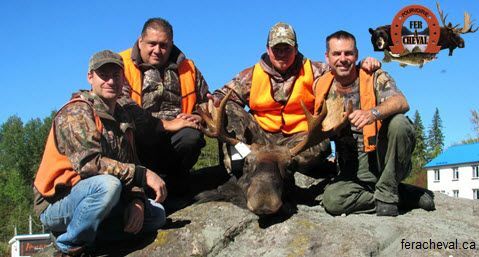 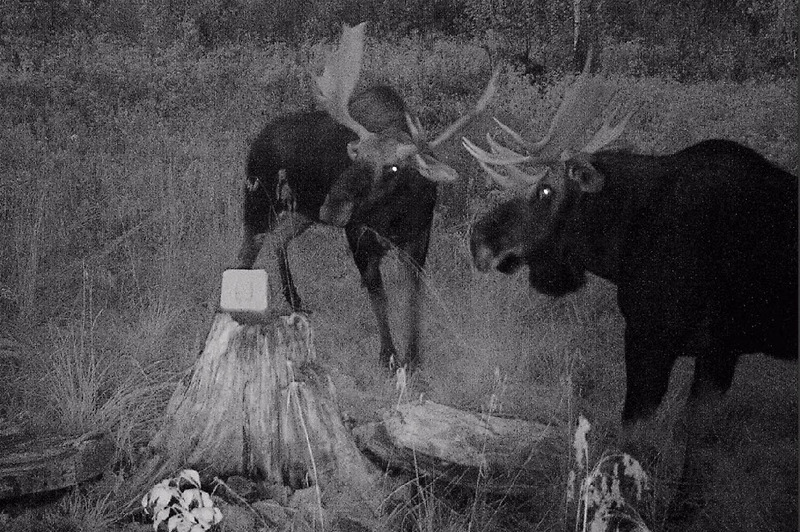 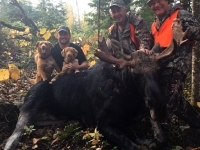 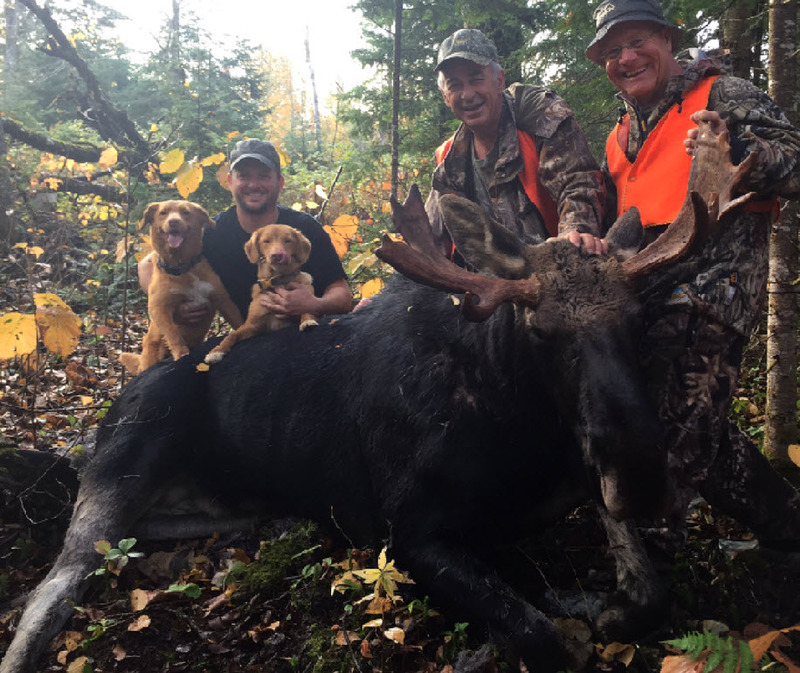 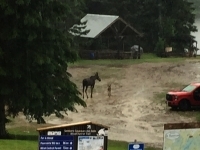 I remember when we first met and our small father- son group wanted and needed a moose hunting education. 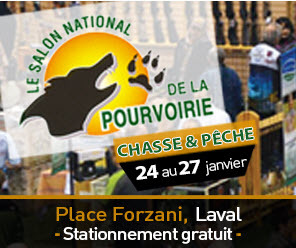 And on this as with all things Fer a Cheval you have delivered beyond our expectations. 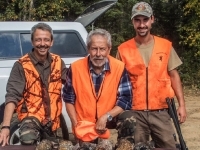 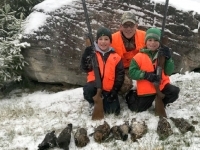 On a more personal note, I was sincerely moved to hear that you had an awesome hunt with your father. 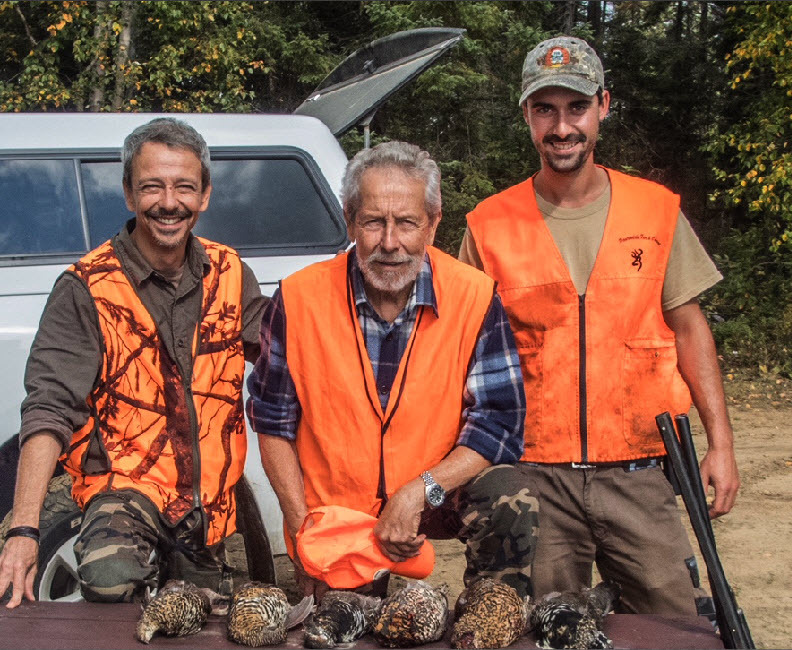 Father son relationships can get strained for all sorts of reasons. 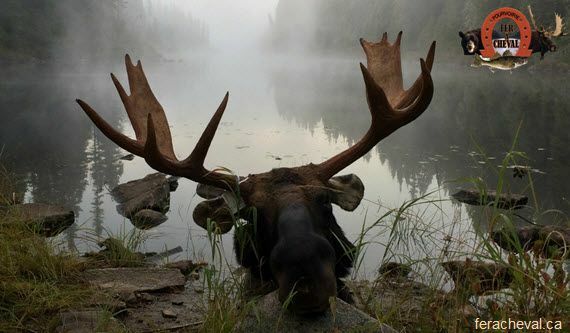 We did not speak or see much of each other from when I was 12 to 42 years of age with a lot of difference of opinion between us. 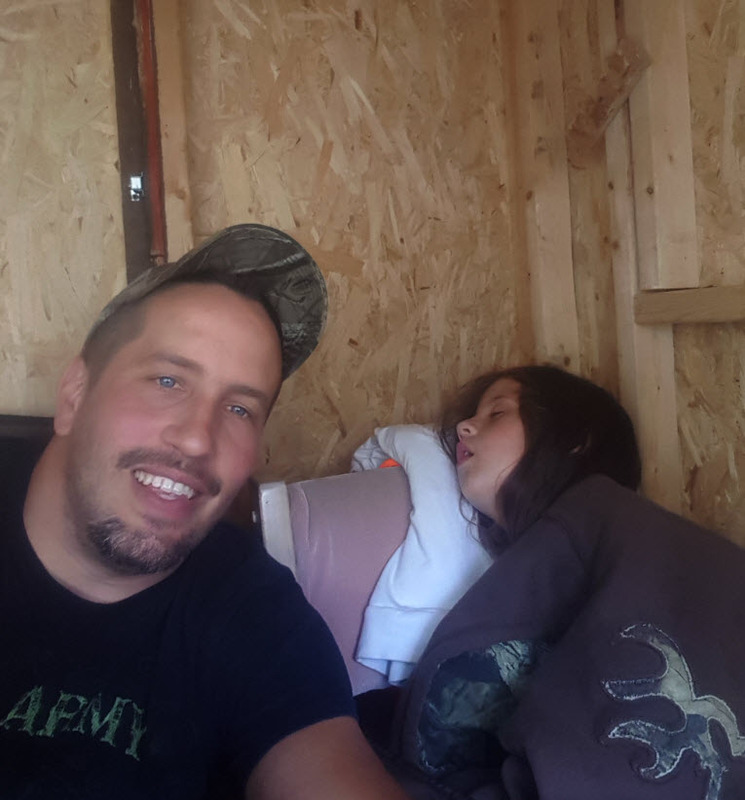 We restarted the relationship and moved forward by doing things we both enjoyed and respected each other for! 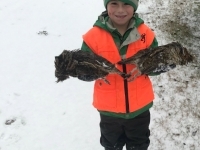 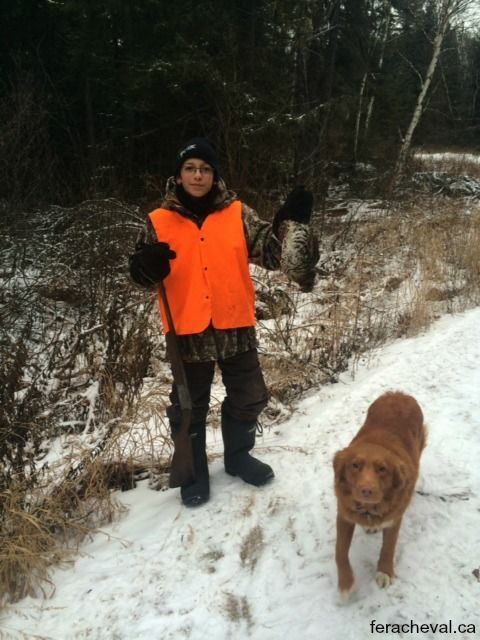 Hunting and Fishing. 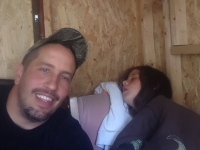 This was our common bond and have rebuilt our relationship from there over the past 10 years! 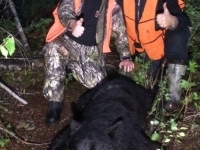 We both look forward already to next year in the first week and maybe I can even giving some calling with Eric a try! 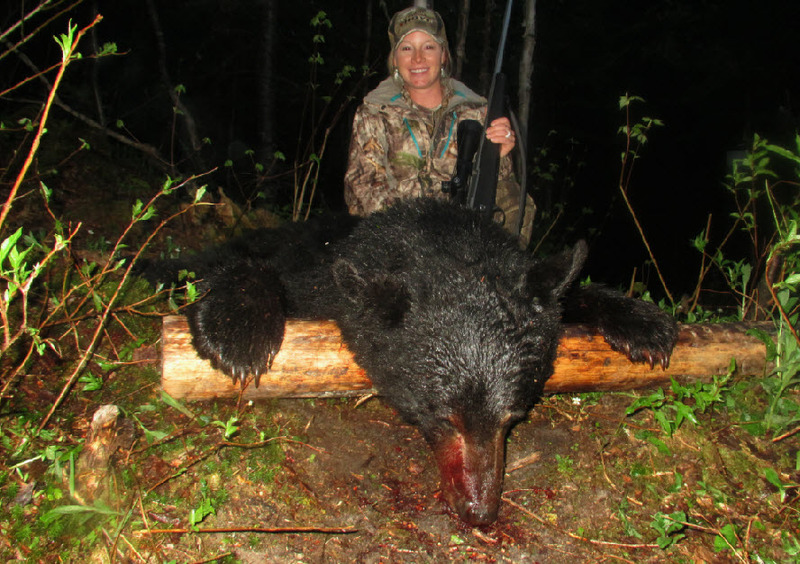 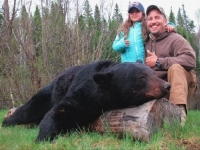 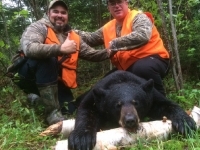 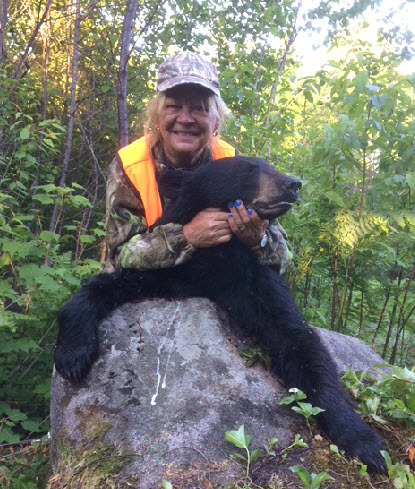 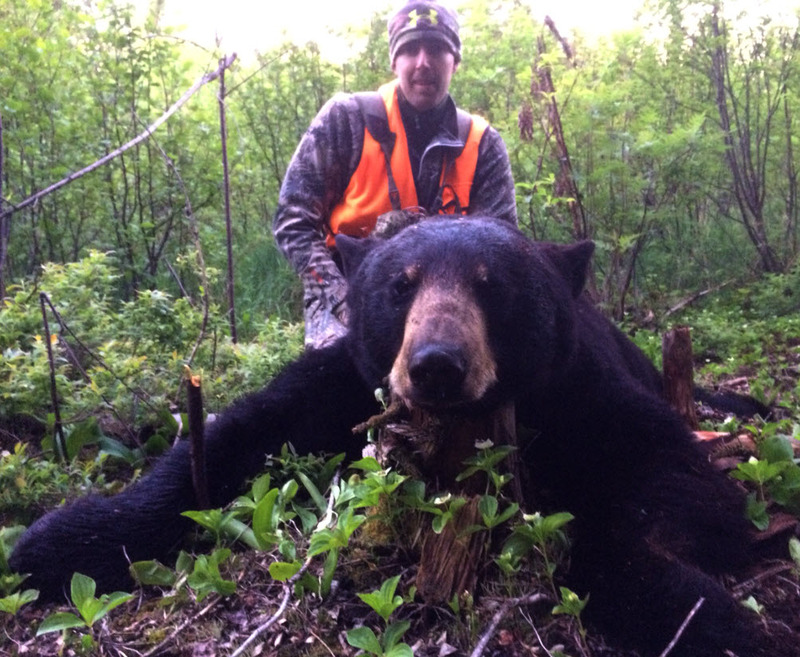 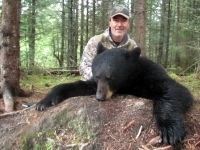 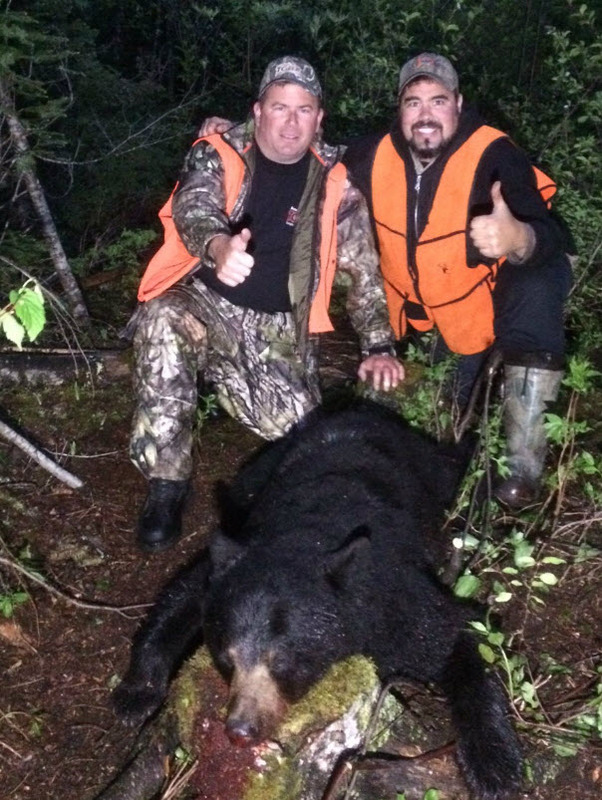 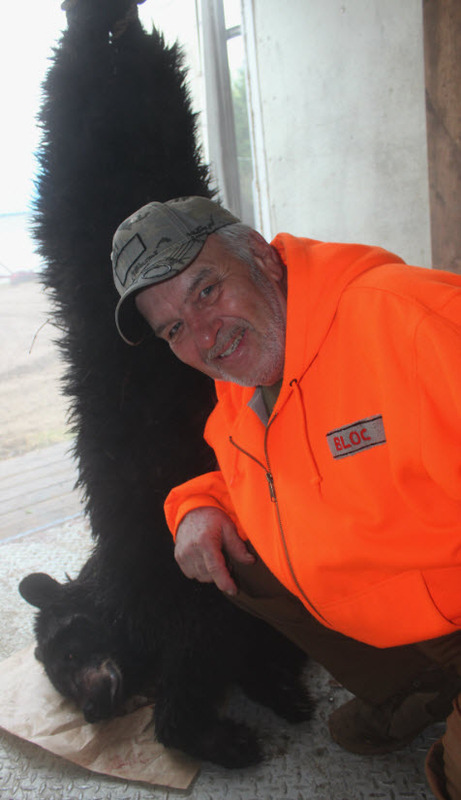 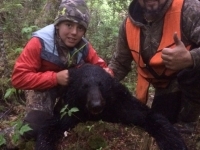 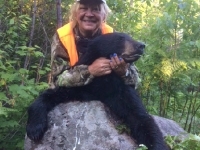 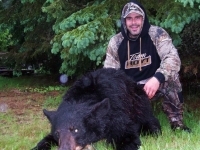 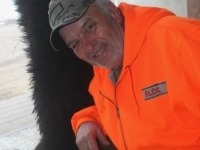 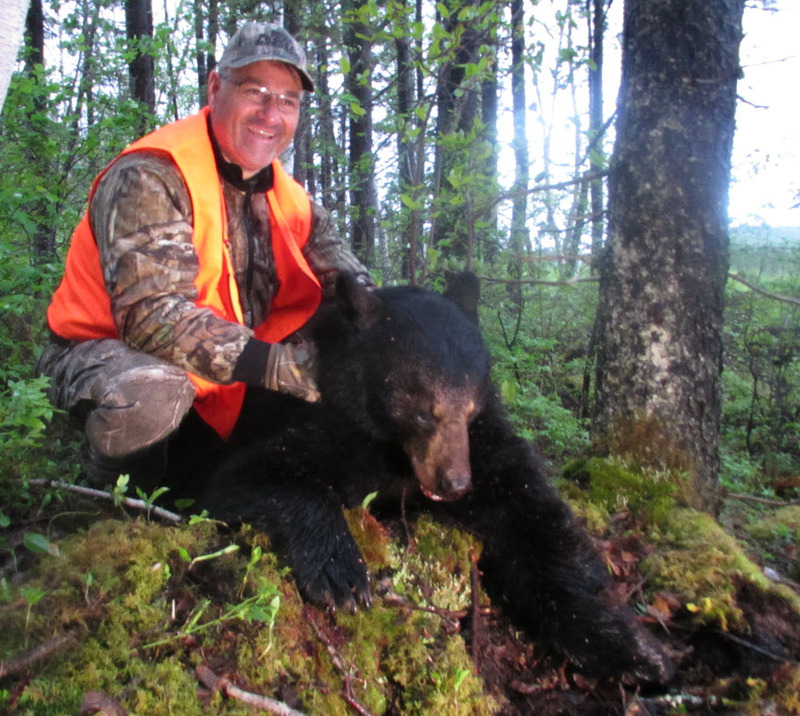 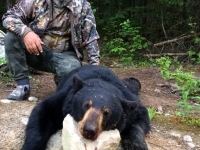 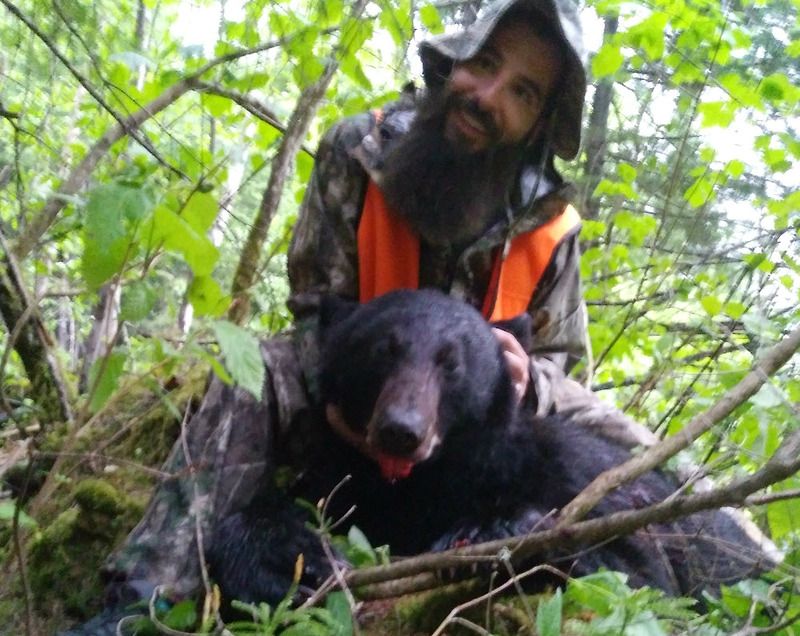 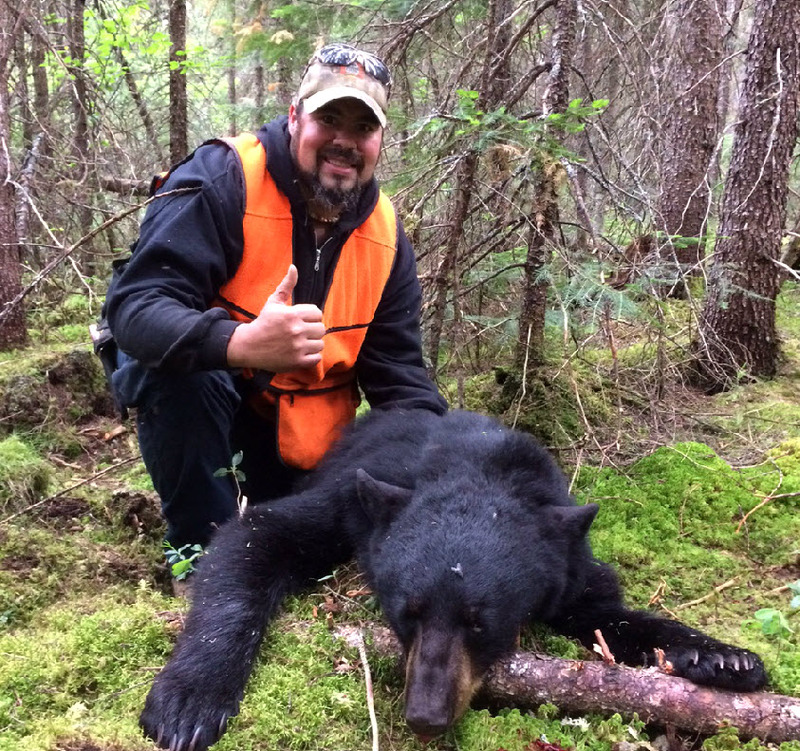 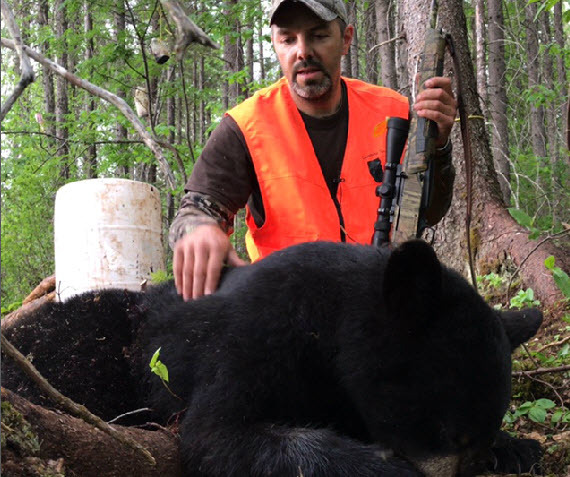 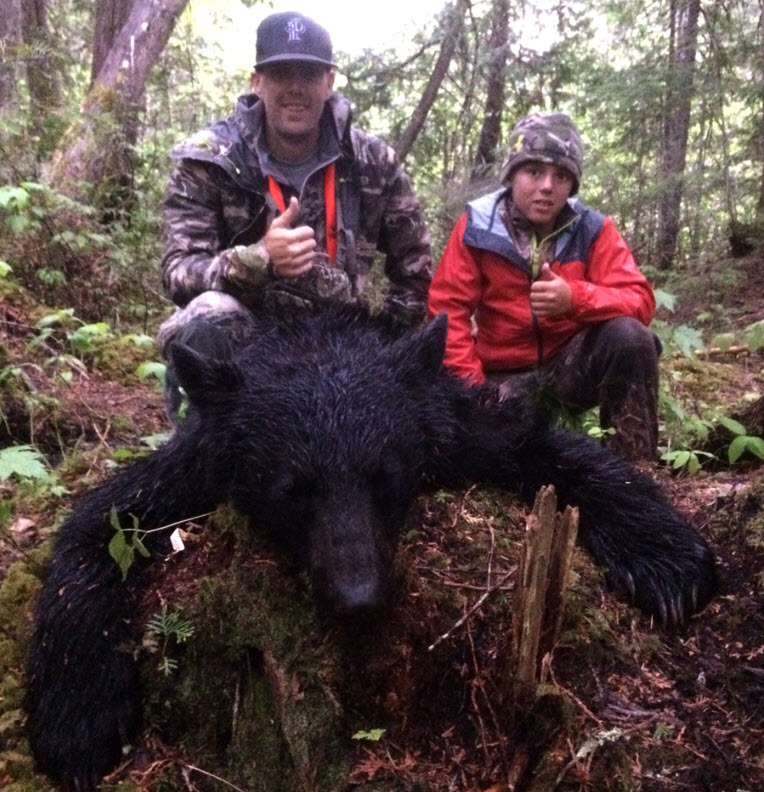 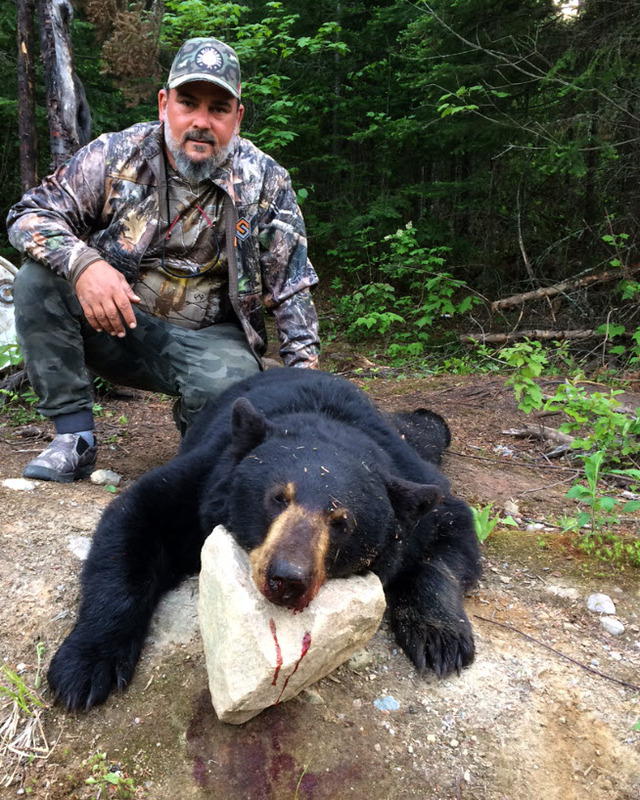 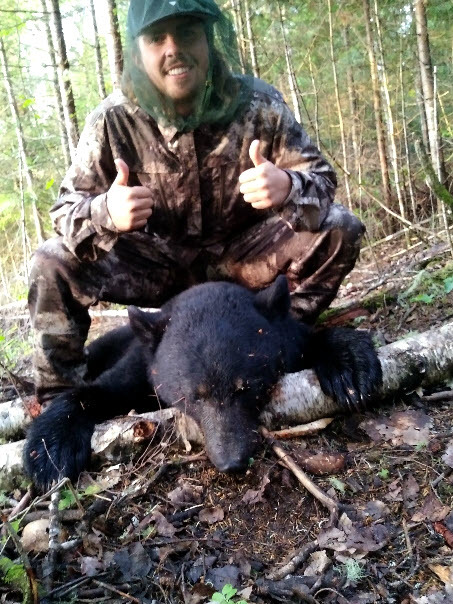 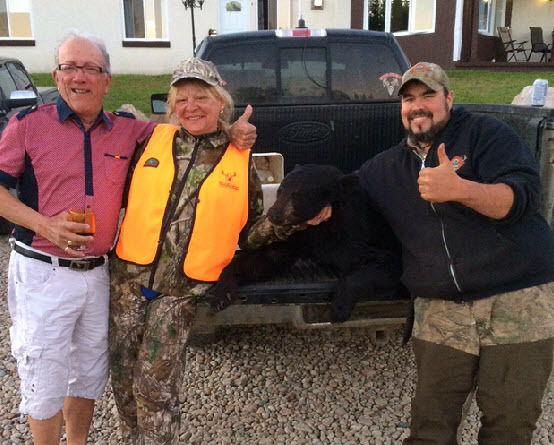 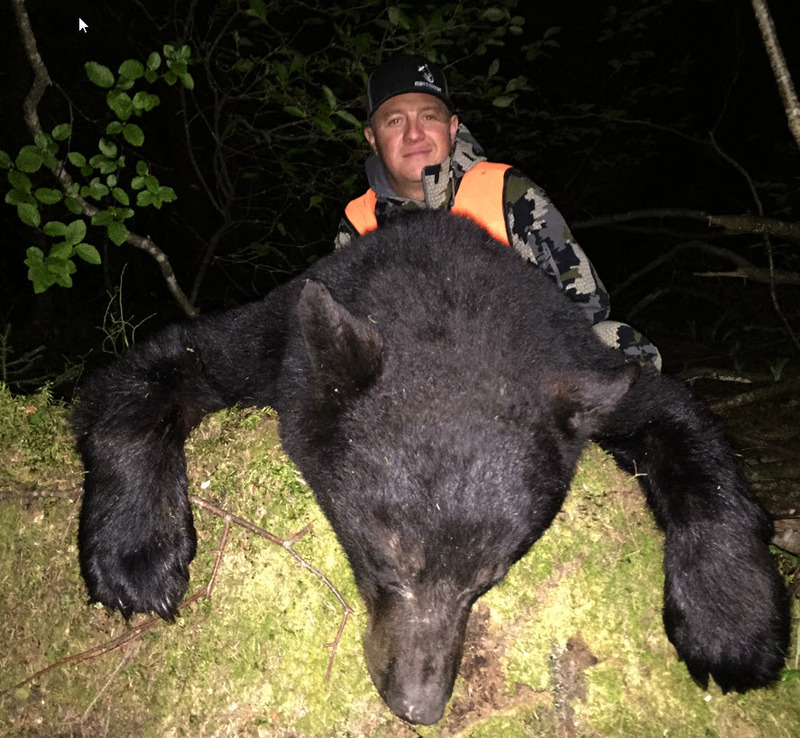 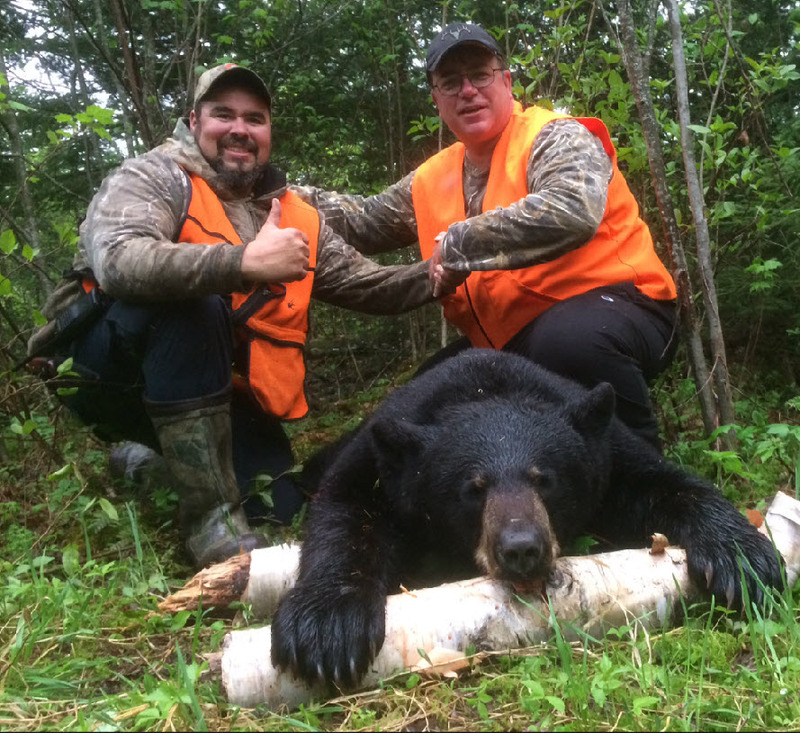 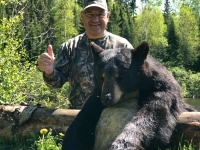 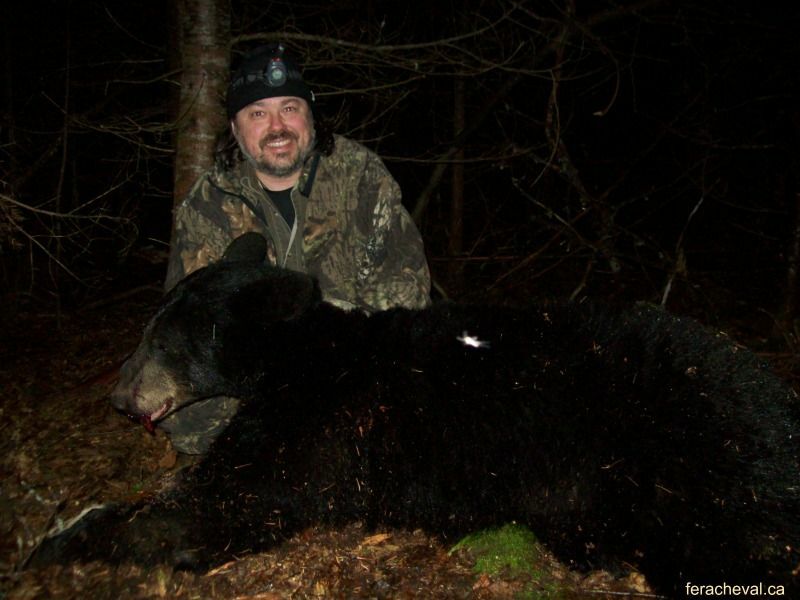 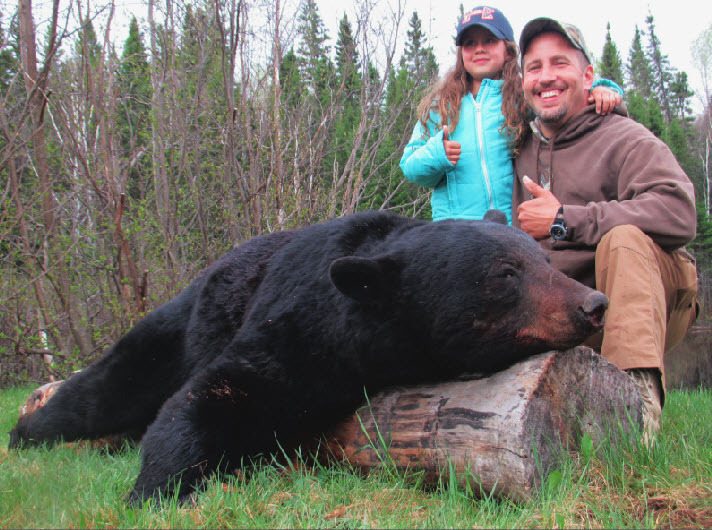 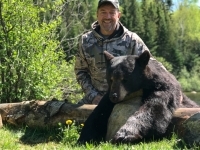 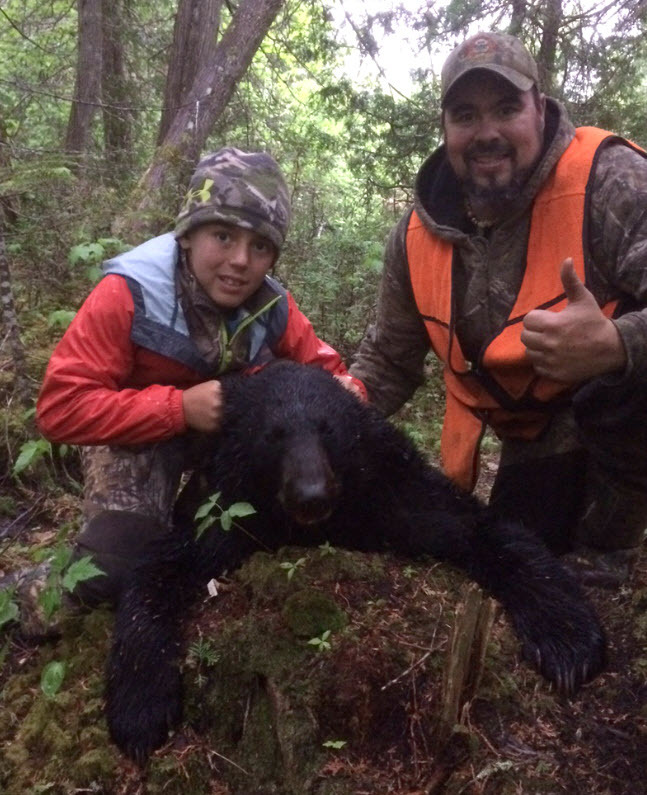 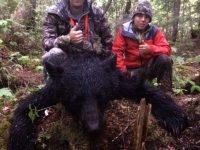 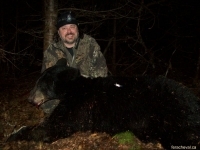 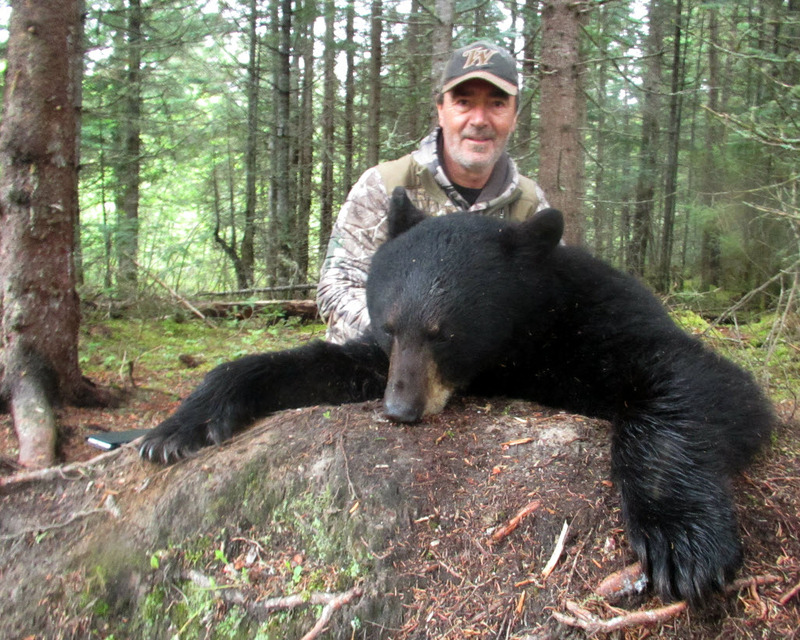 Historically, the territory has never had a strong hunting pressure for black bear. 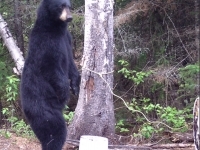 Because of that, bears are of a very good size. 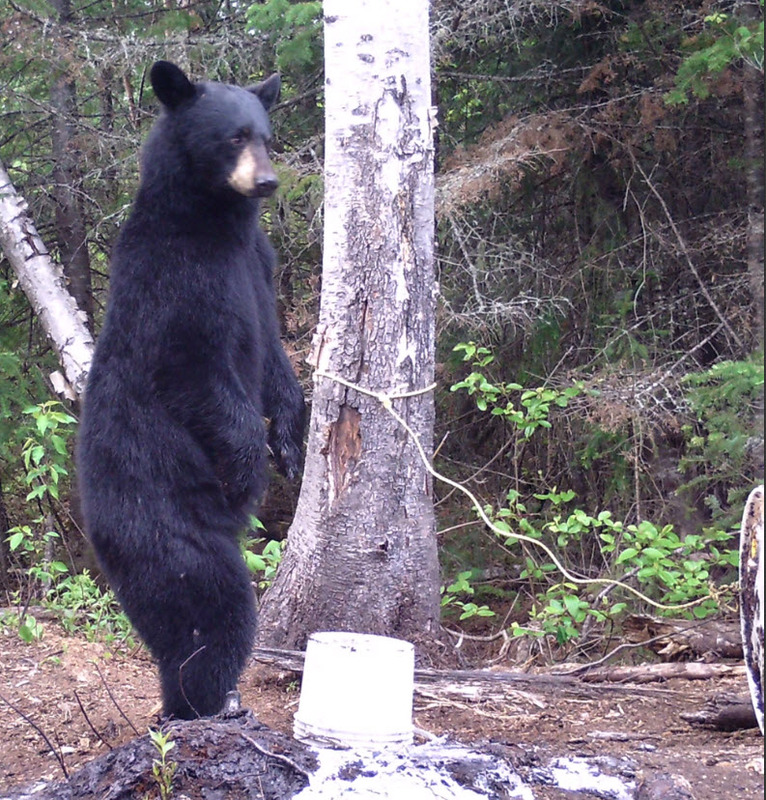 Hunters will be directed to regularly baited sites which are visited by bears. 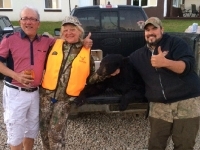 Some hunting sites often have several bears. 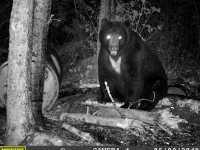 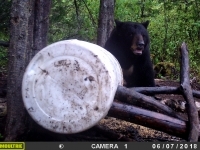 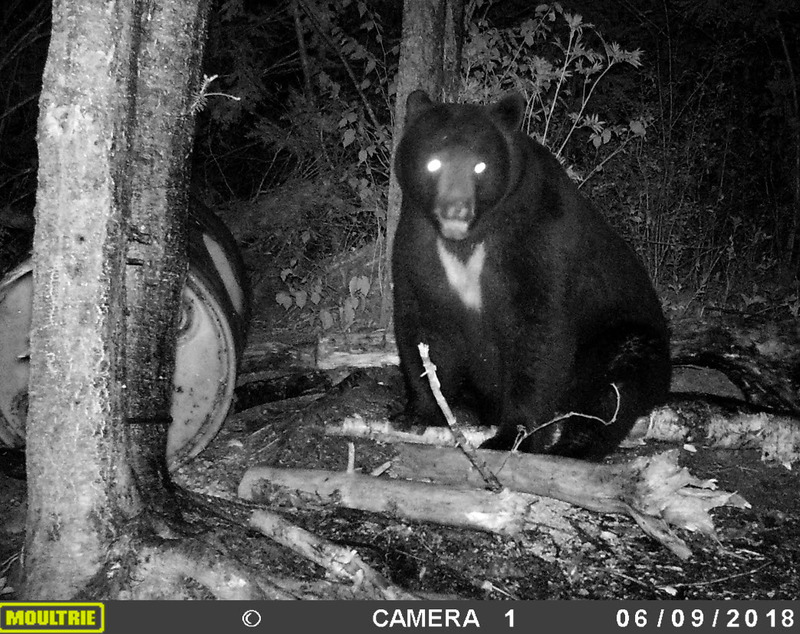 The bear hunting sites are under several surveillance cameras that helps identify their behavioral habits. 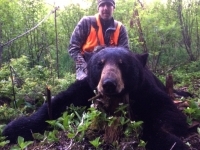 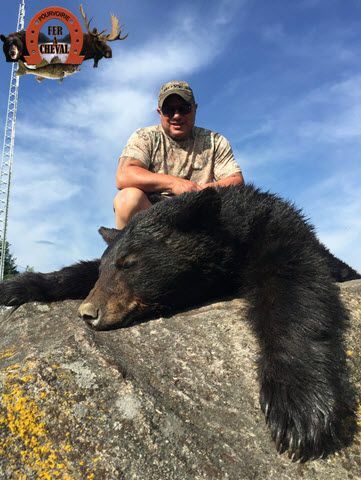 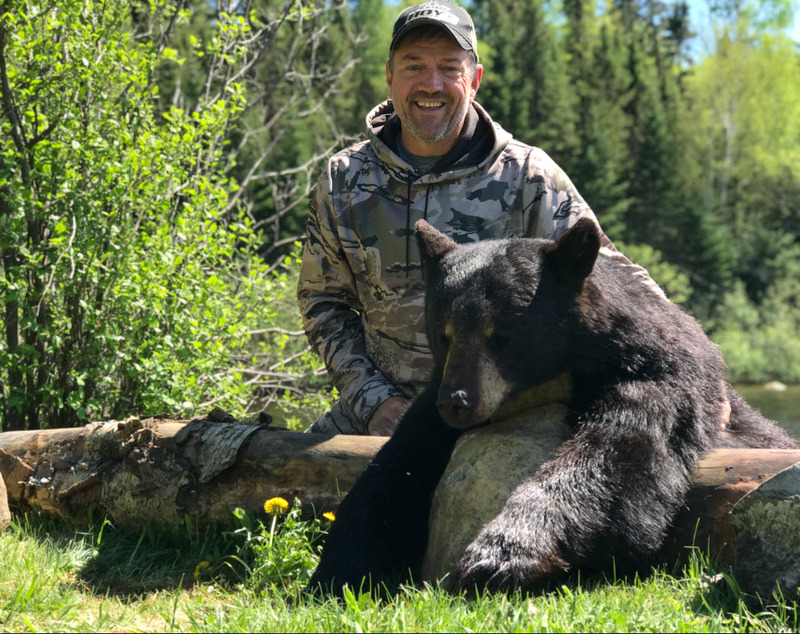 All hunters who have come to the outfitter have seen many specimens of bears, and some trophy bears have also been harvested. 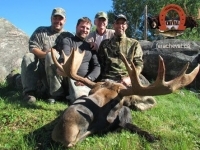 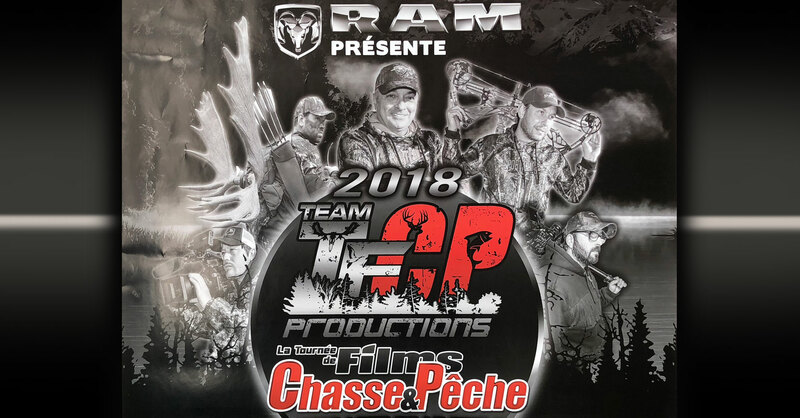 The outfitter Fer à Cheval (2010) has been selected during the last 2 years as a destination of choice for producing and filming TV shows such as ‘Bonne Chasse, Bonne Pêche’ broadcasted on RDS channel. 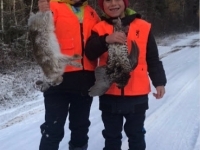 A service of refrigeration, butchering and preparation of fur is available. 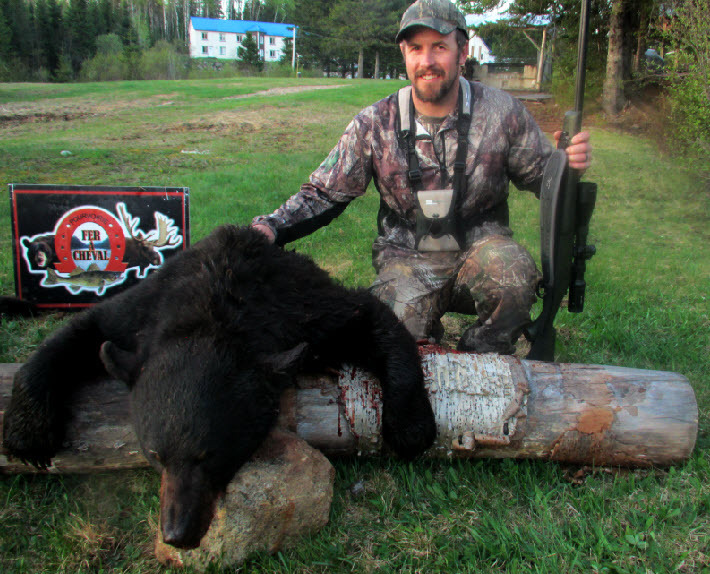 As well, the outfitter has made arrangements with taxidermists, who specialize in artistic assembly of bears. 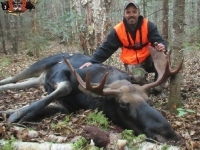 Within the 238 km2 of exclusive land, you will find various woods exhibiting a variety of trees. 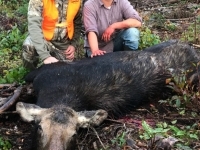 These targeted areas meet the basic needs of small game. 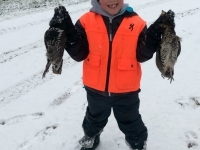 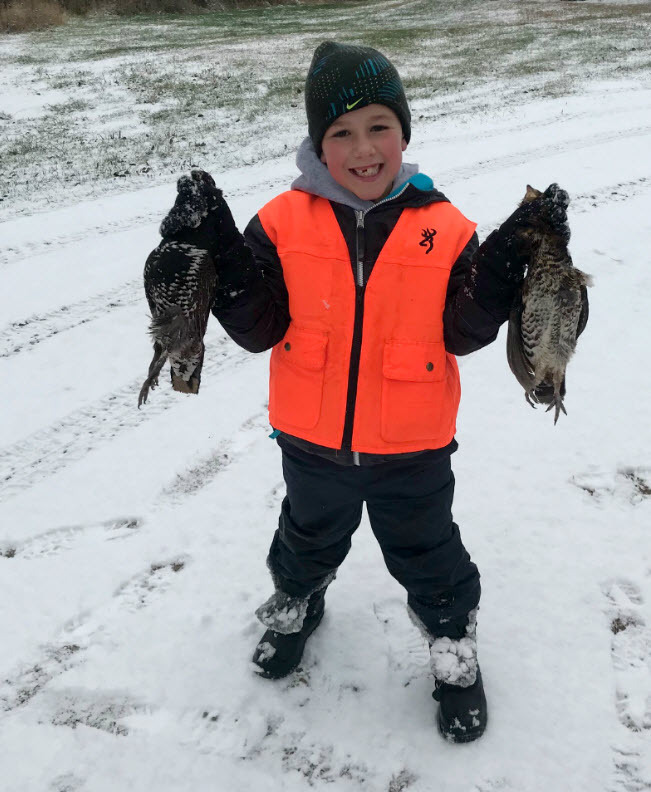 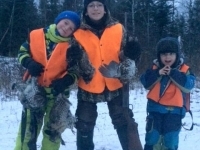 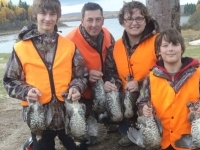 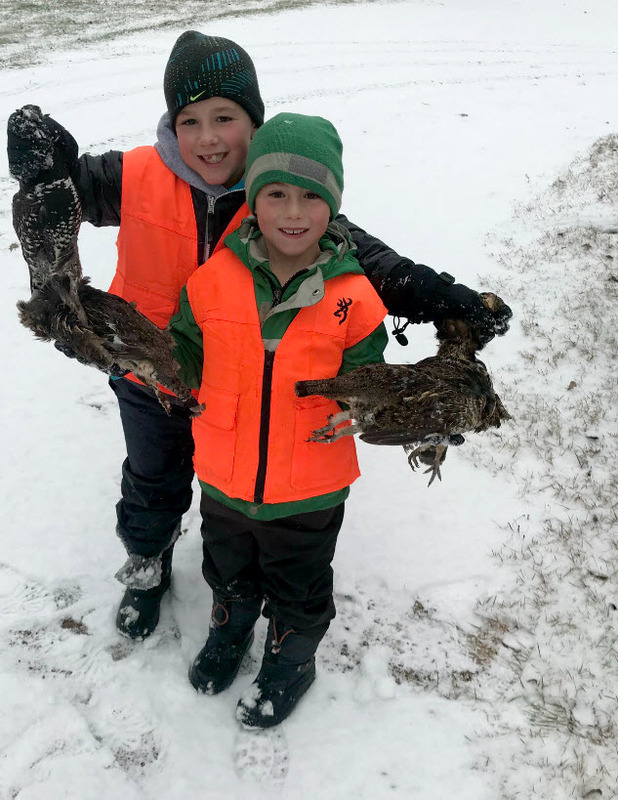 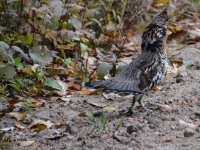 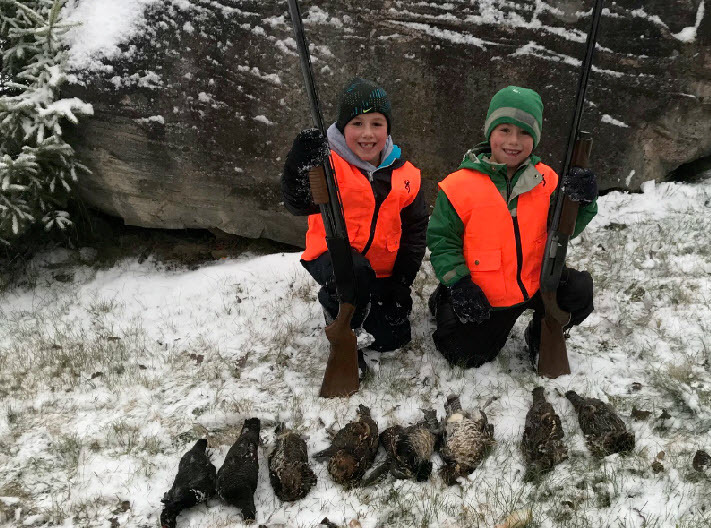 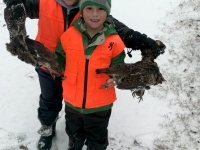 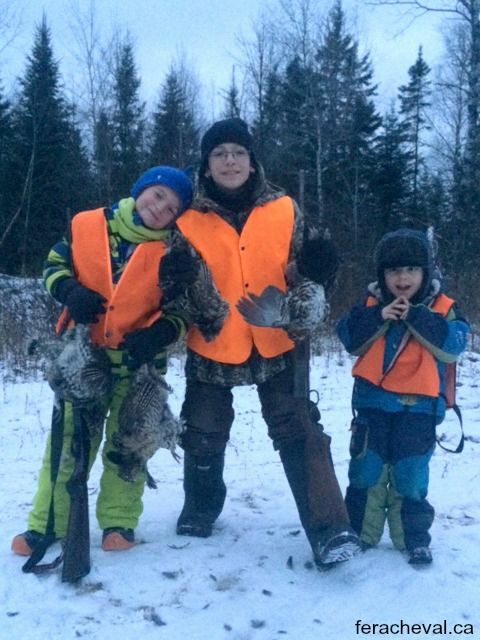 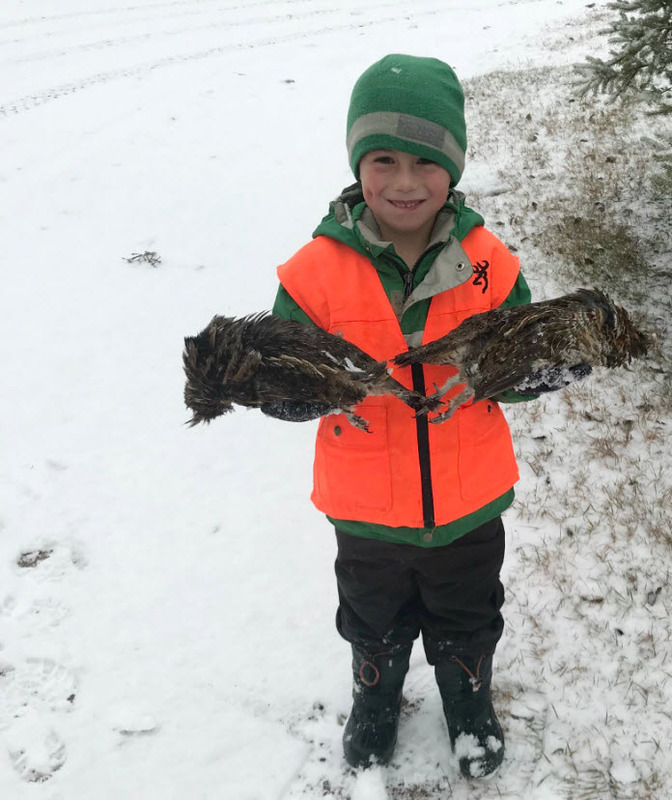 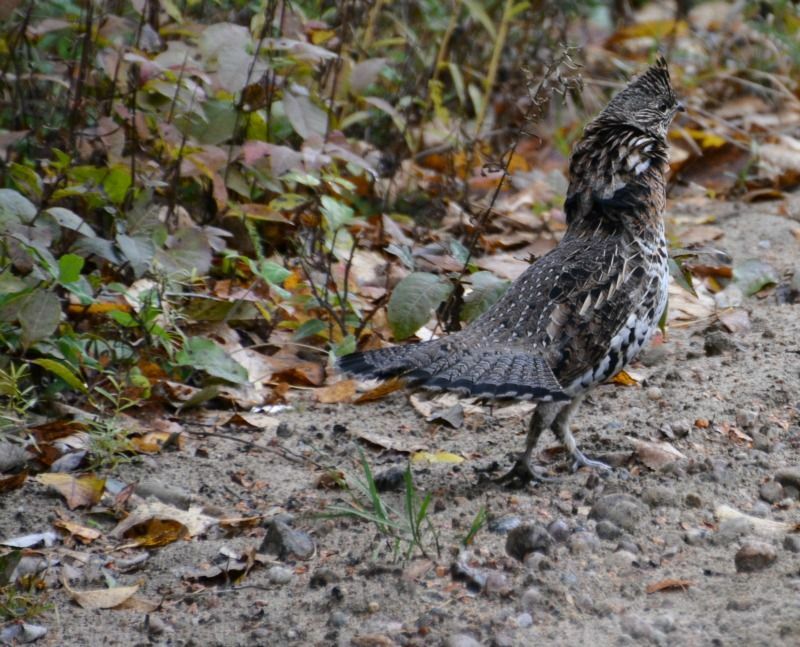 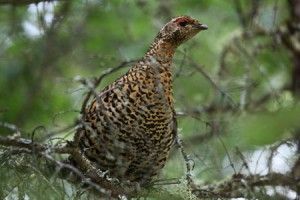 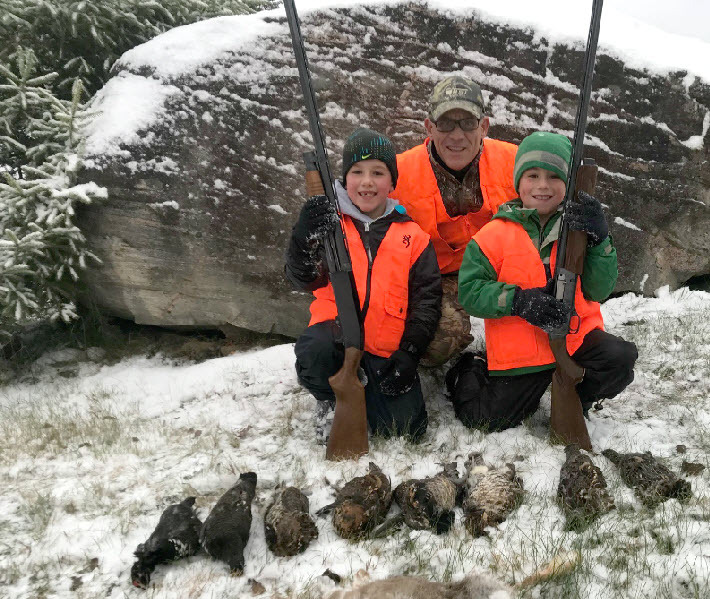 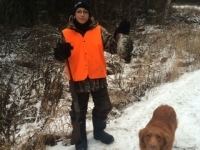 Ruffed grouse and spruce grouse are usually bold in the territory, which facilitates the hunt. 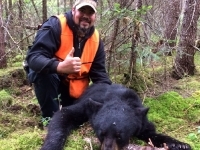 Several networks of logging roads and trails are available for hunters. 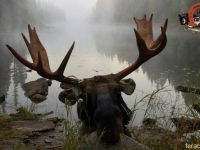 American and European plans available.